Tui na means "pushing grasping," and is a form of Chinese medical bodywork that includes the use of hand techniques to massage the soft tissue of the body. Based on the same Oriental medical principles as acupuncture, tui na seeks to improve the flow of qi through the meridian channels. External herbal poultices, compresses, liniments and salves may also be used to enhance the other therapeutic methods. Cupping is an ancient technique, used in many cultures, in which a special cup is applied to the skin and held in place by suction. The suction draws superficial tissue into the cup, which may either be left in place or moved along the body. Cupping brings fresh blood to the area and helps improve circulation. Traditional cupping, sometimes referred to as “fire cupping," uses heat to create a vacuum-like suction inside of glass cups. In modern times, cups that use a small pump or balloon to create suction have also been introduced. Cupping is unique in its ability to provide a negative pressure to the soft tissue. Guasha is a scraping technique that is often used to open the body's wind gates as a treatment for the cold or flu, or to promote the smooth flow of qi and blood through an area of stagnation. Electroacupuncture is an acupuncture technique that has only recently come into use. 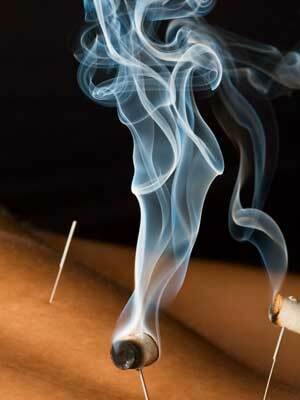 It is quite similar to traditional acupuncture in that the same points are stimulated during treatment. Needles are inserted on specific points along the body that are then attached to a device that generates continuous safe and gentle electrical pulses using small clips. The frequency and intensity of the impulse being delivered can be adjusted on the device, depending on the condition being treated. The electric current causes the release of endorphins (a protein molecule with very powerful pain killer capabilities). Another effect is that when an electrical current is driven through a semi-conductive tissue (damaged/injured tissue) then normal conductive properties will be restored. Once this occurs, often the symptoms will disappear, and with sufficient treatment can result in a complete disappearance of the problem. What you will typically feel with electro-stimulation is a "tapping" or "tingling" sensation. Dietary therapy is an integral part of traditional Chinese medicine. Traditional Chinese paradigms of nutrition divide foods into different categories based upon their energetics, tastes, and temperatures. A healthy diet depends upon a balance of these energetics, tastes, and temperatures, and should be in harmony with the seasons and climate. 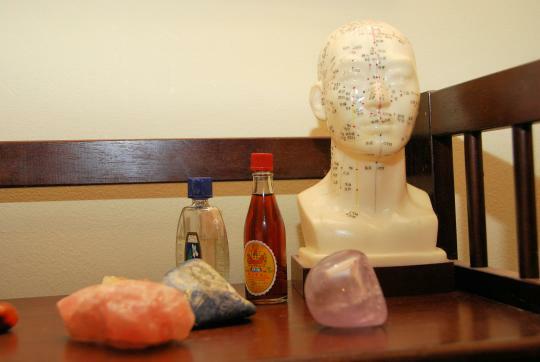 During your acupuncture visit, we may discuss general dietary advice and/or specific foods to treat your health concerns.